Like humans, cows must give birth in order to produce milk. Calves compete with the dairy industry for this milk and are separated from their mothers within just hours of birth. 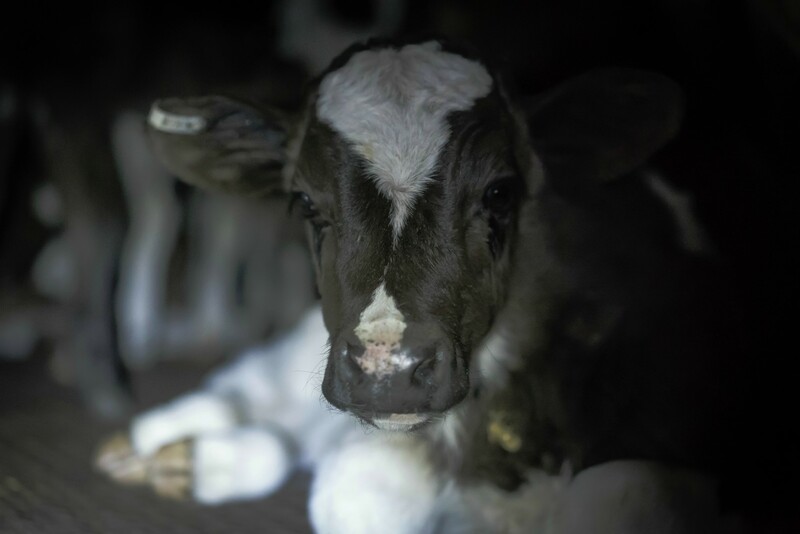 Unable to produce milk, male calves are considered "waste products" and are sent to slaughter at five days of age or as "veal" at 3 months - over 700,000 every year in Australia. Cows have strong maternal instincts, and are known to bellow day and night, searching for their lost babies. 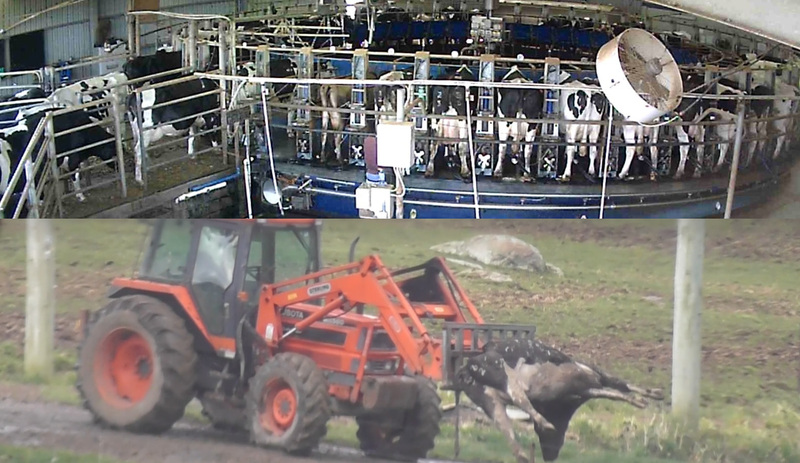 Dairy cows undergo a continuous cycle of forced impregnation, birthing and separation from their calves, and being milked multiple times per day for several years until they succumb to exhaustion or disease, or are sent to slaughter once their production of milk slows. Naturally they can live for up to 20 years. Studies have found strong links between dairy consumption and higher rates of bone fractures and osteoporosis, multiple types of cancers, Parkinson's disease, type 1 diabetes and various autoimmune disorders. Milk sold to consumers often contains small amounts of faeces and pus. 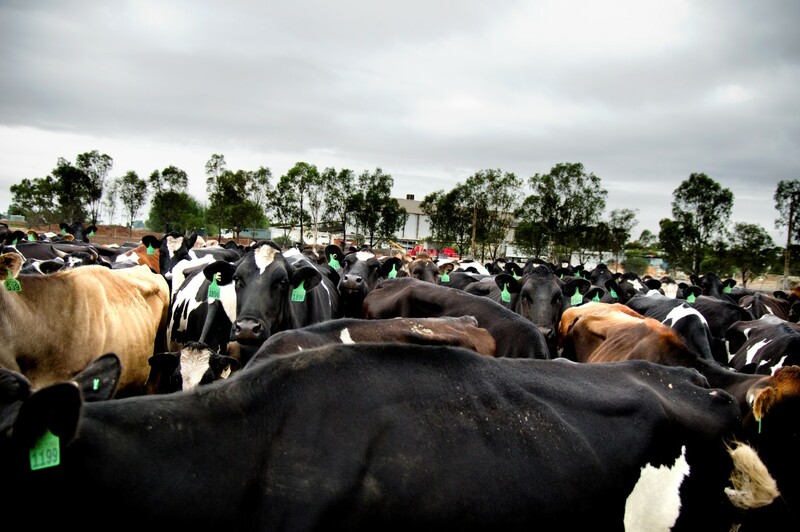 Meanwhile, Australia's dairy industry produces around 12% of our total greenhouse gas emissions and accounts for 10% of our water usage, needing 1020 litres of water to produce 1 litre of milk. Dairy is an inherently cruel, unhealthy and unsustainable industry. 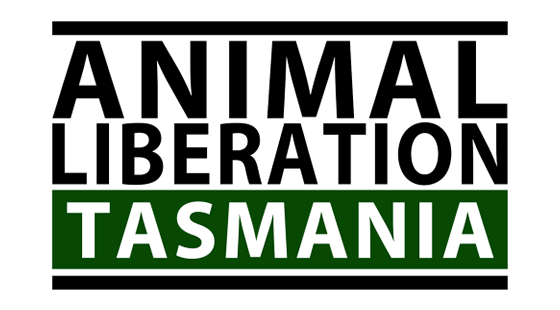 Join the increasing number of Australians choosing to go dairy-free.